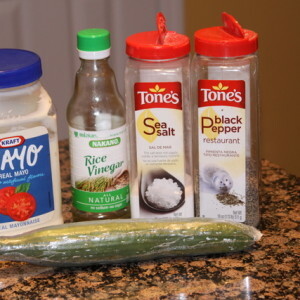 I like the dressing on this salad to be runny so I do a full 1/4 cup of mayo, maybe even more. If you just want to coat the cucumbers definitely use less. It's kinda one of those things you have to experiment with. 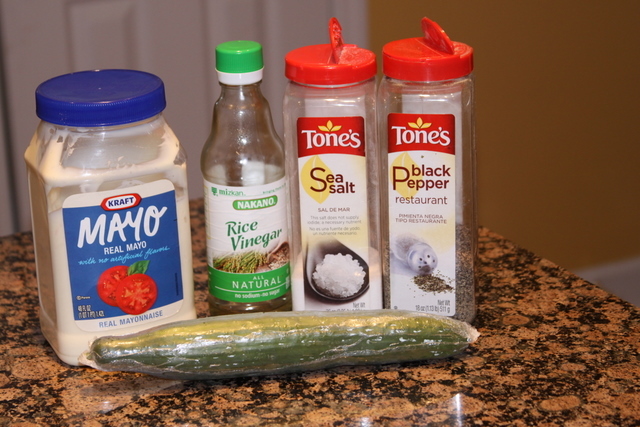 Salting the cucumbers brings out their liquid, so once the salad sits for a bit, the dressing will be thinner. This was a staple on our table in the summer time growing up. Place cucumber in a large bowl and liberally salt. Add mayo, vinegar and pepper. Mix well. Best if refrigerated for an hour before serving.